SAO PAULO (CNS) — Responding to news reports that the Brazilian intelligence agency was monitoring the Catholic Church, the secretary-general of the bishops’ conference downplayed the idea that prelates would use the October Synod of Bishops on the Amazon to criticize their government’s policies. The synod is a celebration “of the church and for the church,” Bishop Leonardo Ulrich Steiner said Feb. 11 in a video released to reporters. He said Pope Francis wanted the bishops to find new paths for evangelization for the Amazon, which includes territory belonging to nine countries in South America. On Feb. 10, one of Brazil’s largest national newspapers, O Estado de S. Paulo, reported the government’s intelligence agency was monitoring the church and its “progressive bishops,” concerned that, during the synod, they would criticize President Jair Bolsonaro’s policies, especially those related to the environment and the indigenous populations. The Brazilian government denied any monitoring by the intelligence agency, but admitted concern that the issues to be addressed during the synod may lead to pressure by the international community on how Brazil should deal with the region. Sixty percent of the Amazon rainforest is in Brazil. Retired Gen. Augusto Heleno Ribeiro Pereira, head of the Cabinet of Institutional Security, stressed his concerns about nongovernmental entities trying to decide land policies. 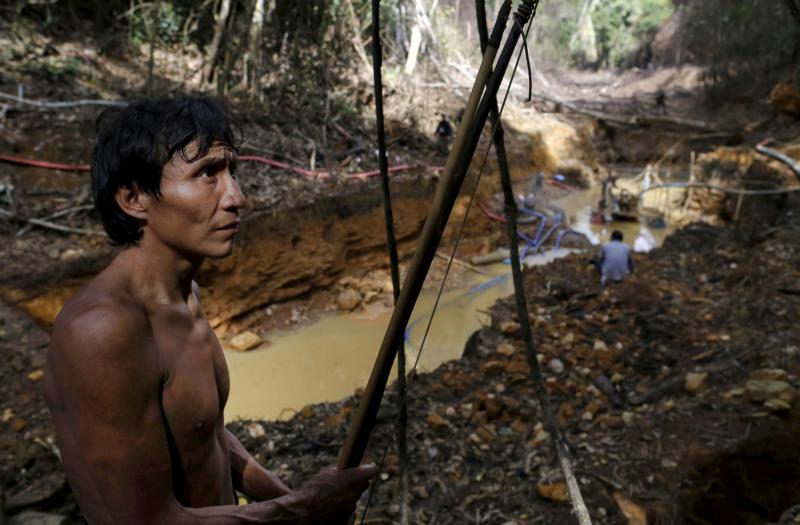 “Brazil (government) takes care of the Brazilian Amazon,” he told journalists Feb. 12. “The church will never fail to speak up in the face of the injustices committed against the indigenous peoples and peasants living in river communities. We are in the Amazon, lung of the world,” he said in a letter to the bishops’ conference Feb. 11. Bishop Corbellini said the lands of the Amazon are coveted by agribusiness and large mining companies, which pollute rivers and encroach on land belonging to indigenous peoples. “The role of the church is to follow the Gospel of Jesus Christ, who loved all but especially the poor, and it (church) always has a critical word about the attitudes of governments toward the peoples of the Amazon, because Christ first made the choice for the poor, the abandoned in society,” the bishop said. He added that the church must preserve the life of the people and living things in the Amazon no matter what government is in power.